Bungalow with 3 bedrooms and 2 bathrooms (showers), with dining room, independent kitchen. Terrace, small garden and communal pool. 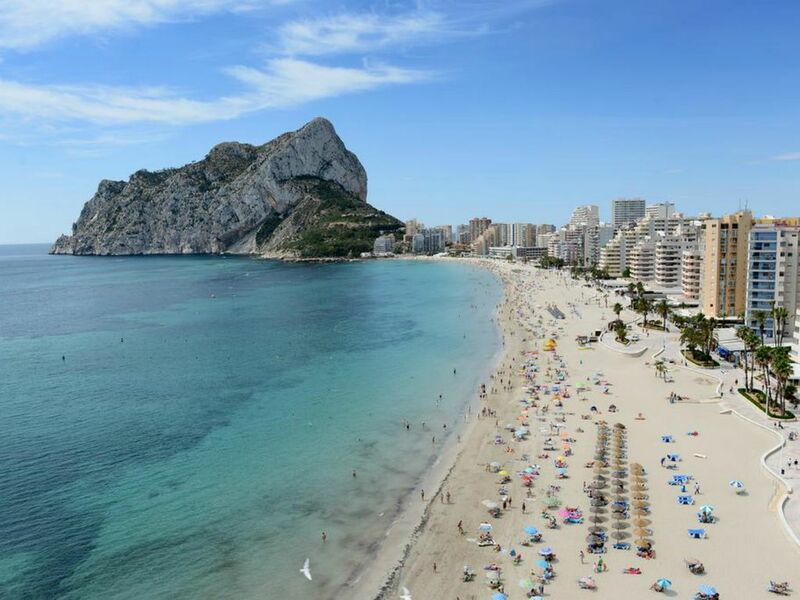 Located 700m from the beaches of Calpe and only 2 km from the city center. The main bedroom has a large bed of 160x200, the second bedroom has 2 single beds of 90x200 and the third bedroom has 2 bunk beds. It is a Bungalow with 3 floors. The bottom part is a garage. The first floor consists of kitchen, living room and a toilet. The second floor, has 3 bedrooms and 2 bathrooms. Very large community pool. The urbanization is very quiet, since there are only 15 bungalows. Being a community, parties will not be allowed. This accommodation is recommended for families with children. Bungalow decorated with good taste throughout. Community pool, fully modern kitchen, separate dining room and lounge. The living room has a TV. A car is not necessary if you stay in this villa, as it is in an ideal position, with supermarkets, beaches, shops and bars / restaurants within walking distance. The beach is approximately 700m walk from the villa. There is also a bus service every hour that stops at the end of the road that goes to the city before ending at the train station. The villa has 3 bedrooms with the master bedroom en suite, there is a separate toilet on the ground floor. It is located in a quiet area of ​​Calpe making this an ideal vacation spot, but not far from all the necessities for a good holiday. Ideal house for family with children, since one of the bedrooms has bunk beds.